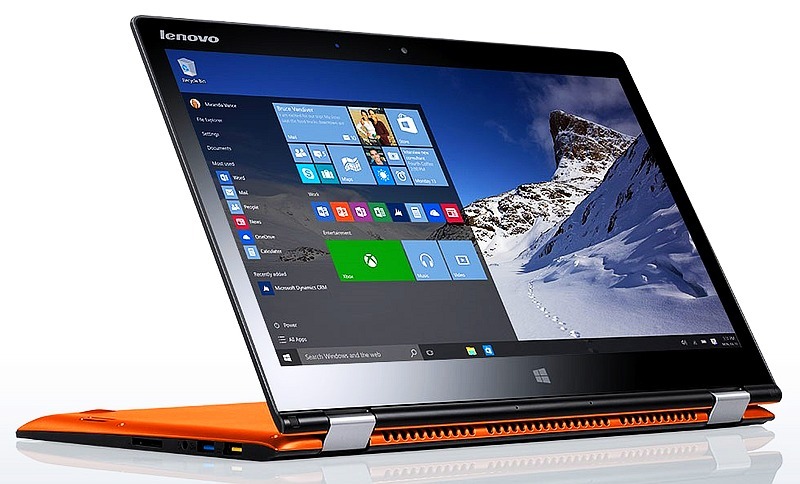 Lenovo on Friday launched its affordable hybrid laptop series with the new Yoga 700. The 2-in-1 laptop is available in 11-inch and 14-inch screen sizes with starting prices of $649 (roughly Rs. 42,400) and $799 (roughly Rs. 52,200) respectively in the US. The India pricing and availability details are not yet known. The Yoga 700 can be used in four different modes - laptop, tablet, tent, and stand. The audio on bothWindows 10 (64-bit) laptops is powered by Dolby DS1.0 Home Theatre tech. The Lenovo Yoga 700 (14-inch) features a full-HD 10-point multi-touch IPS display with 700:1 contrast ratio and runs up to sixth generation Intel Core i7 processors with Intel HD Graphics 520 and 8GB DDR3L RAM. Users also have the option to include Nvidia GeForce GT 940M discrete GPU as well. It comes with up to 256GB SSD inbuilt storage and features a HD (720p) webcam as well. The connectivity options include Wi-Fi 802.11 ac (dual band), Bluetooth 4.1, USB 3.0, USB 2.0, Card reader, and HDMI-out. Measuring 334.9x229.5x18.3mm, the base model weighs 1.6kg and is backed by a 45Whr Li-Polymer battery. Details can be found in the company's US website listing. Although the company has not fully revealed the specifications of the Lenovo Yoga 700 (11-inch), the company's Australian website has listed the device with all the specifications. As per the listing, the base model features a 11.6-inch full-HD IPS display size with 10-point touch screen, OGS coating, and 800:1 contrast ratio. The laptop comes powered by a 64-bit Intel Core m3-6Y30 processor (2 cores, 4 threads, 900MHz base frequency, 2.2GHz burst frequency) with Intel HD Graphics 515 GPU and up to 8GB RAM. It houses 128GB SSD storage. It weighs 1.1kg, measures 290x197x15.8mm, and features a 40Whr Li-polymer battery that's rated to deliver up to 7 hours of running time. "We know fast performance, easy portability, and rich sound and display are features consumers expect in a laptop today," said Johnson Jia, senior vice president, PC Business Group, Lenovo. "That's why we made the new Yoga 700 thinner and more powerful than ever with Windows 10 and Intel's latest processor. We also added a Full HD IPS display and Dolby stereo speakers as part of its standard features so that consumers can get a premium quality convertible laptop for work and travel, at the price of a standard laptop."